Mobility that wireless networks provide is crucial in today's modern hospital. There are many places in a hospital that hubs of constant activity such as the ER, ICU, and the surgical recovery room to name a few. Inside these busy hubs there are nurses running around, getting orders and needing test results. Wireless Networking technology can provide easy, instant access to information that can help a hospital become even more efficient. It is said that every day there is more medical knowledge published than one doctor could possibly read in a lifetime. This information is not just generated by universities and research centers, but from voices throughout the world and published all over the internet. Before a doctor can meet with a patient, more than likely the patient has already connected their laptop or smartphone online and researched their medical dilemma, often educating themselves on their situation before a doctor in a ER can stop to talk to them directly. Wireless Networks provide doctors with the ability to stay connected not just to real time patient records but with the countless areas of up-to-date medical information published online. 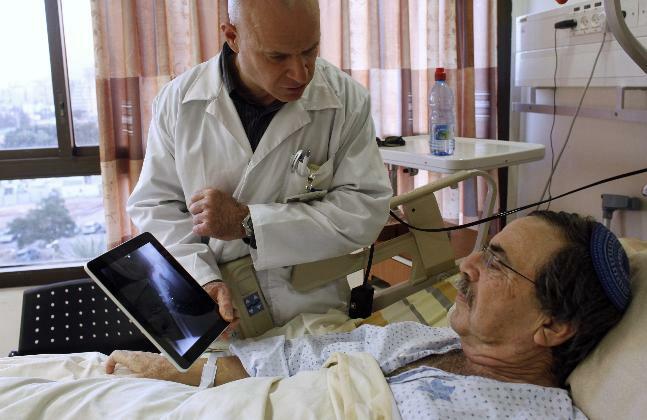 One doctor armed with one smart tablet, such as an Ipad, can single handledly browse through patient records, write and send prescriptions to be ordered, update themselves on the latest medical diagnosises and more. Hosptials first need to have a wireless network available that can support the mass of technology needed that can keep their doctors and nurses online, moving and efficient. A fast and secure hospital wireless network will allow your hospital team to carry devices that will improve their job and a patients over all quality of care. Here at SecurEdge Networks, we provide the best quality of fast and reliable Wireless Networks. We have worked with many hospitals throughout the United States to give them the ability to support todays increasing demand for wireless devices. Need help with your hospital wireless network?